Owners direct self-catered Holiday Cottages in Wales for Self Catering Breaks 2019. Wales is a very varied country - from the stunning rugged coastline of Pembrokeshire, to the rolling hills of the Brecon Beacons, and in North Wales, the stunning mountains of Snowdonia. Our range of Welsh cottages includes North Wales cottages, holiday cottages in South Wales and Pembrokeshire cottages on the West Wales Coast. 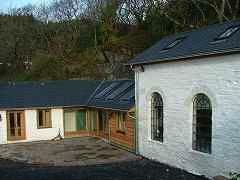 Welcome to our selection of independent cottages in Wales. £365 - £775 / week. £1965 - £3950 / week. 9 bedrooms | 3 bathrooms | Sleeps 17 people.